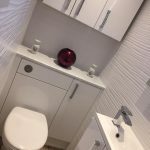 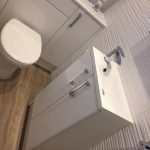 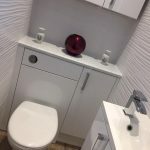 After completing Mr & Mrs Gregory’s kitchen we did their cloakroom. 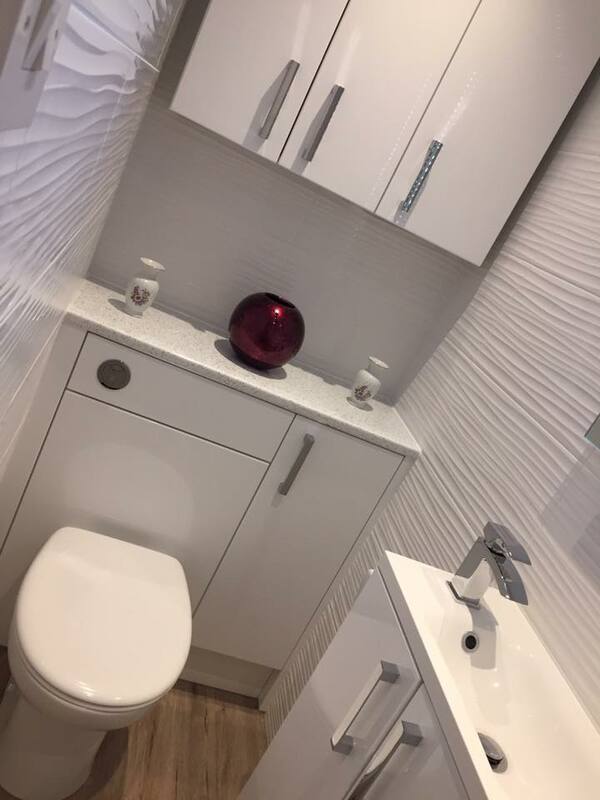 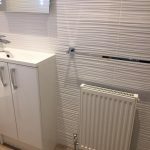 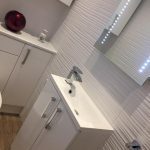 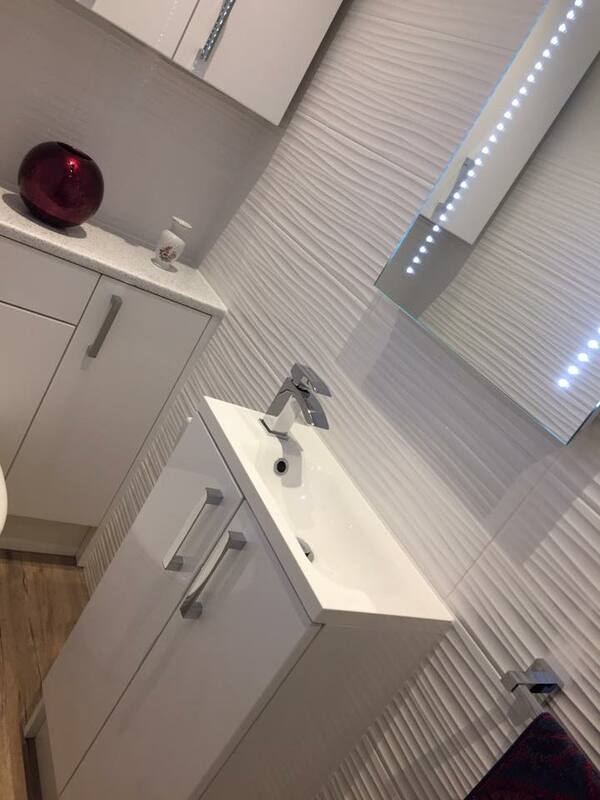 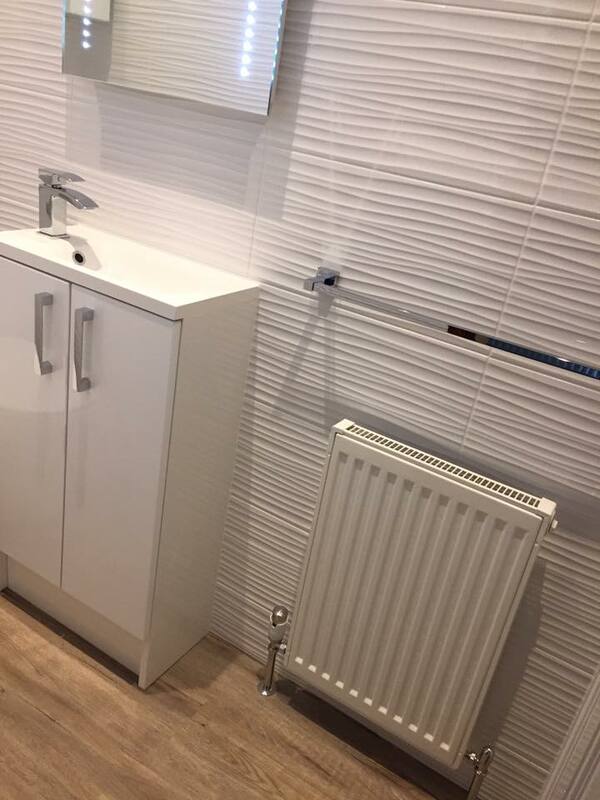 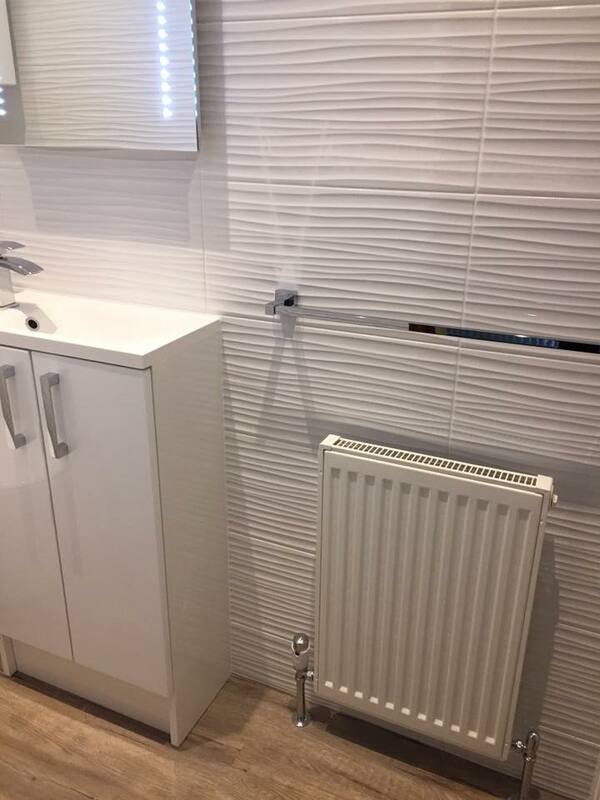 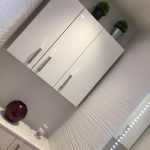 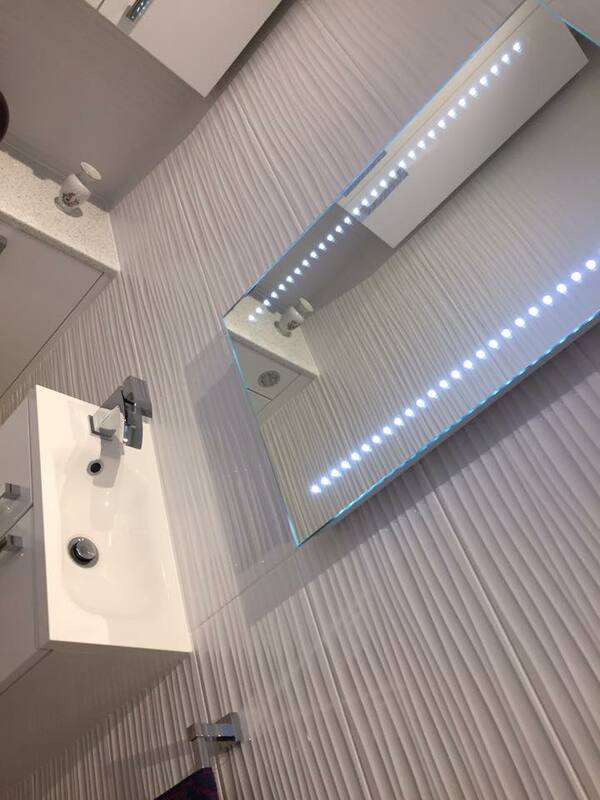 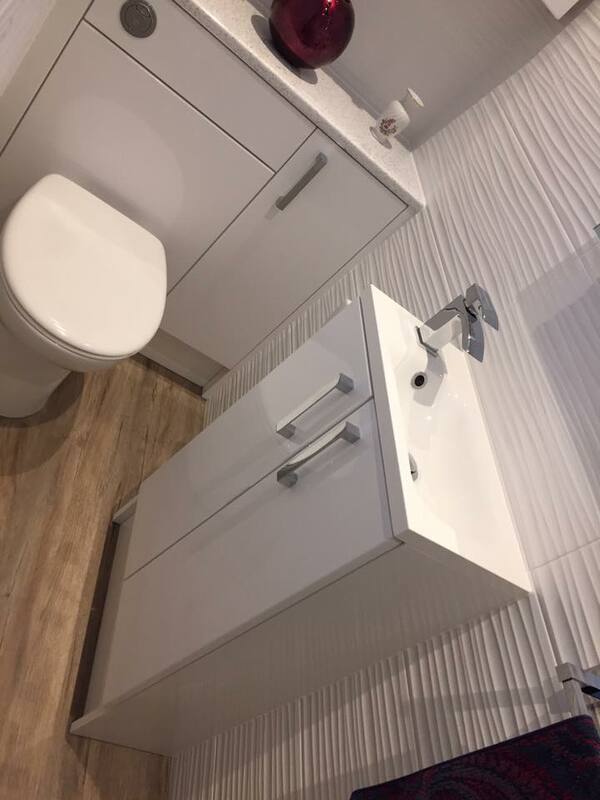 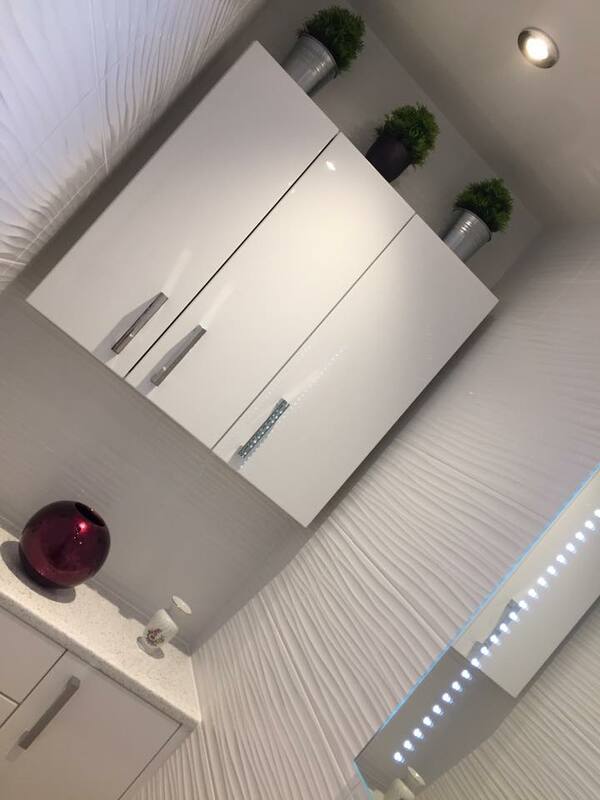 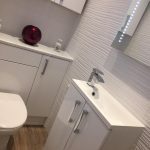 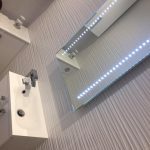 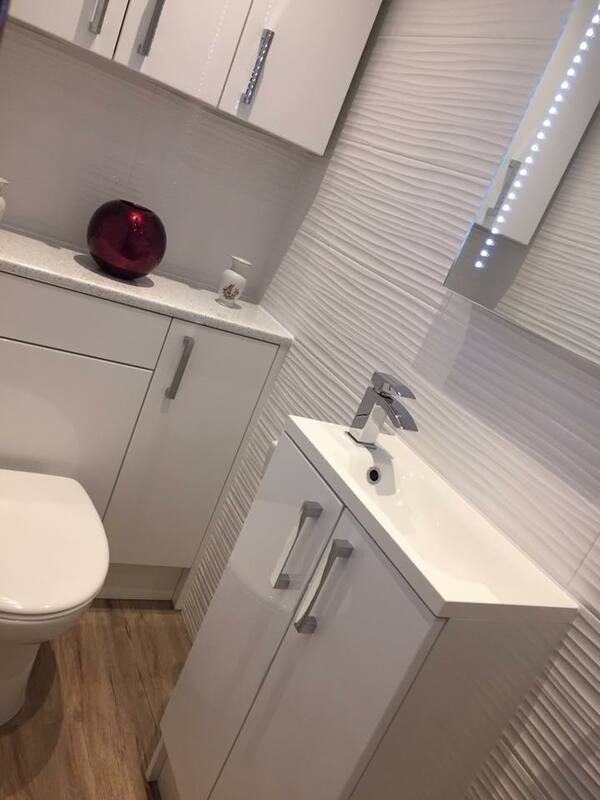 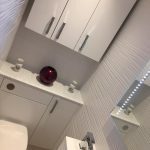 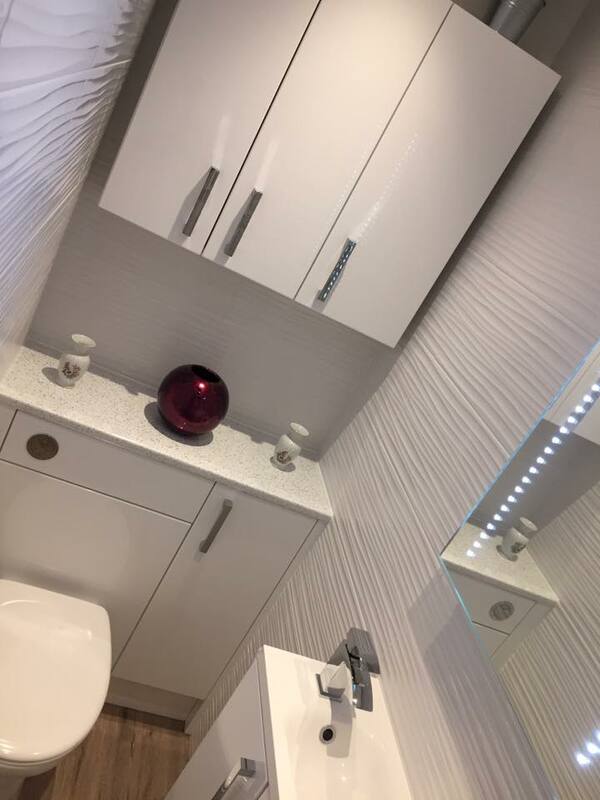 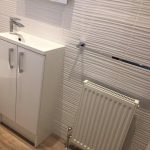 They chose the white gloss wave wall tiles with white gloss furniture, Vado brassware & accessories & Sensio LED mirror. 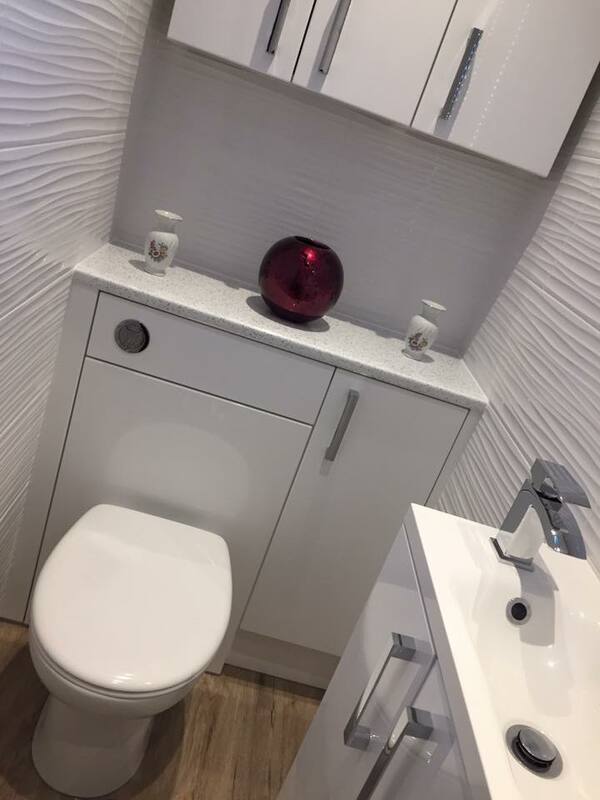 The Flooring is Polyflor quayside oak.